As per every election since its inception in 1948, the NHS is a political football; this time it is being kicked around by seven teams. One wonders when the UK will learn from its European neighbours about the benefits of depoliticised healthcare. Much of the debate has focused on the issue of more money. But is that really what is needed? 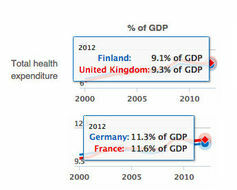 As a percentage of GDP, the NHS receives 9.3%. This is similar to Norway, marginally more than Australia, Iceland Italy, Sweden and Finland who are all around the 9% mark, and a couple of points less than the highest European spenders, Germany and France at around 11.5% GDP. These are not big differences. China, which has serious health problems caused by pollution, HIV/AIDS and high tobacco consumption, spends 5.6% GDP on healthcare. Life expectancy in China is 75.3 years. Life expectancy in Scotland is 79.1 years (76.8 if you count only males). There are large differences, however, in the way many of these health services are run. In Germany, France and Sweden, and also China, clinicians – doctors – are much more involved in managing hospitals. And, importantly, leadership is still viewed as mostly the preserve of clinicians. Although this used not to be the case, today there are few hospitals in the UK led by doctors. Instead our hospitals are generally run by professional managers who have no medical training. My research suggests that this is not efficient – it shows instead that the best hospitals are run by doctors not managers. You may wonder why this is so important. Let me put my argument in an analogy close to the heart of many Brits. Imagine a beautiful garden. The flower beds, about to explode with colour, have been tended and nurtured over years by an experienced gardener. Her horticultural expert knowledge has enabled her to evaluate and adapt her planting strategy depending on what grew before – the previous season’s weather, new seed technology, and so on. In time a manager is brought in over her. The manager doesn’t really understand what the horticulturalist does so he puts in processes to manage the gardener’s time and work practices. He also decides that it would be more efficient if 300 chrysanthemum bulbs are purchased which could supply the garden for three years instead of ordering each year. But the manager doesn’t realise that the soil is ageing and cannot sustain three years of the same flower; it needs a rotation of plants. In year two the beds suffer and the flowers wither. The manager goes to a large consulting firm to ask them to intervene to help solve the problem. Why doesn’t the garden manager speak to the gardener you may ask? She has worked with the soil and the beds for years. Because the manager doesn’t know horticulture so he cannot understand her. But he does speak the same language and think in a similar way as the consultants. Sadly the gardener has become unhappy in her work and her performance has declined. Her budget has been reduced to pay for the consulting firm. And eventually the gardener leaves disillusioned. In 2011, I published an empirical study which looked at the top 100 hospitals in the US in three fields – cancer, digestive disorders, and heart surgery – and found that the chief executives in the highest-rated hospitals were more likely to be clinical leaders (MDs) rather than professional managers. And physician-led hospitals achieved 25% higher-quality scores. An earlier study from the London School of Economics focused on management practices in UK NHS trusts. John Van Reenen and colleagues discovered that both the best-managed hospitals and the best-performing hospitals were those with a high proportion of managers with clinical degrees. In another recent study of English hospital trusts, Gianluca Veronesi and colleagues at Leeds Business School examined whether the presence of clinicians on hospital boards mattered to hospital performance. They found that the higher the proportion of clinicians on the board, the better the trust’s performance. I have researched leadership and organisational performance in a number of settings (universities, hospitals, high-technology industries and sports for example) and the same kind of pattern emerges. Leaders who have expert knowledge in the core business of their organisation are associated with better performance. So in all the excitement about the NHS, I would like to ask each political party: who is going to commit to putting clinicians and doctors in charge of our hospitals? 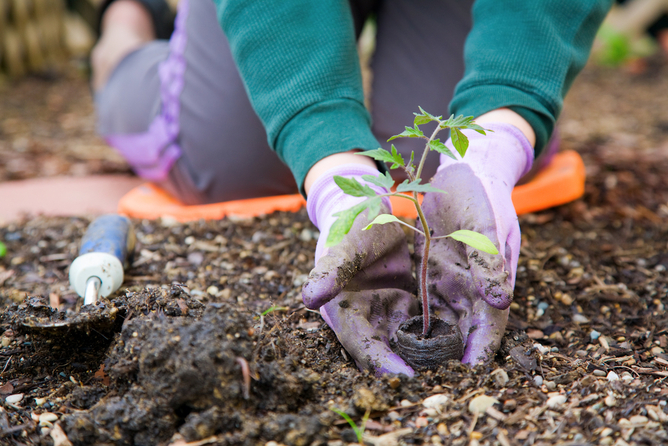 Image 2: Gardening by Shutterstock.